I meet with people to discuss design all the time. The most common concern I hear from people is that they don’t know where to start. It may seem oversimplified but start with what you love. I understand that not everyone is passionate about decor but everyone is passionate about something. 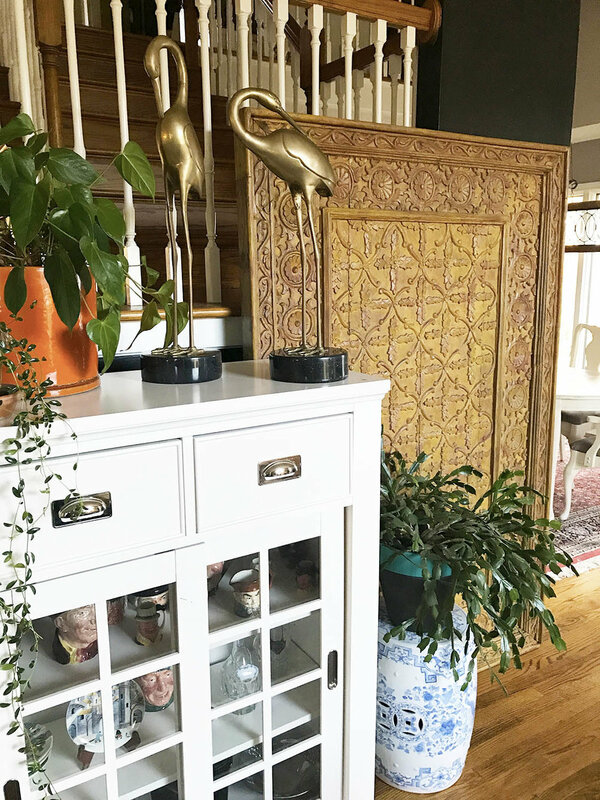 I can easily walk through an antique mall or a department store and pick out accents I like, but not everyone can. Even so, I bet you have a poster, a mug, a hobby you enjoy. Use those as inspiration. Nothing in my house matches. Nothing looks like it came out of a catalog, but each element was something I was drawn to, and if you always pick what you love they will inevitably go together nicely. I recently went to Jeff’s Warehouse. If you haven’t been, check it out! One of the coolest shops in Bloomington for mid-century decor. 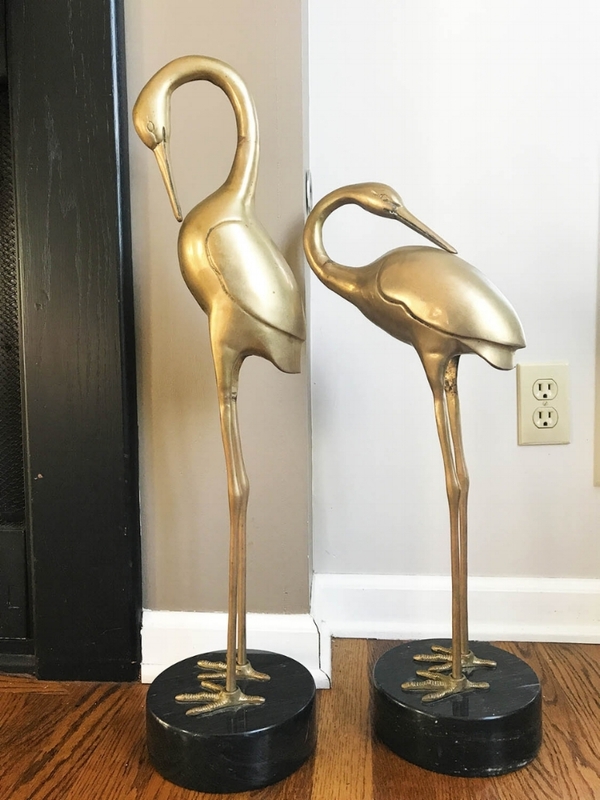 I actually went in to buy a client a gift but I could resist the tall leggy brass birds sitting on a bookshelf. And talk about cool shops in Bloomington… Relish was an amazing shop but recently decided to close their doors. 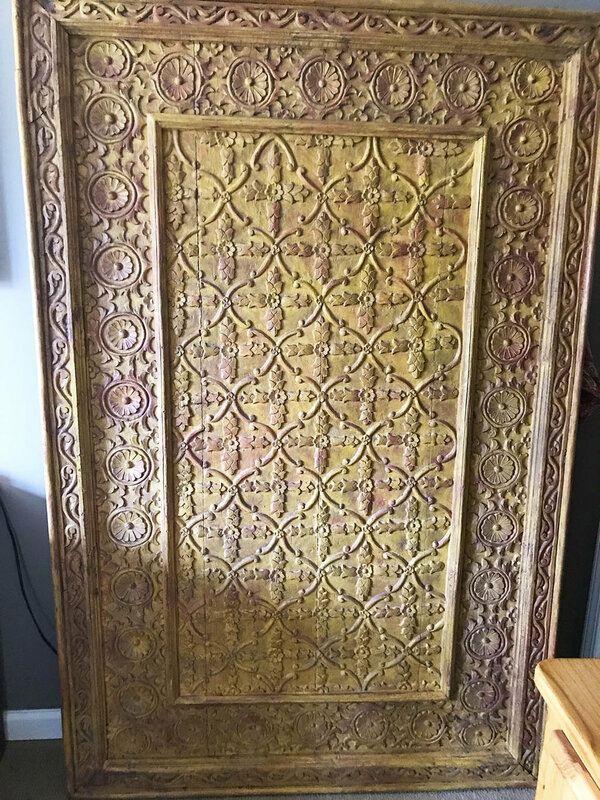 I went in for one last look and walked away with this ornate ceiling panel. I wasn’t sure what I was going to do with it when I purchased it, but I knew I loved it. 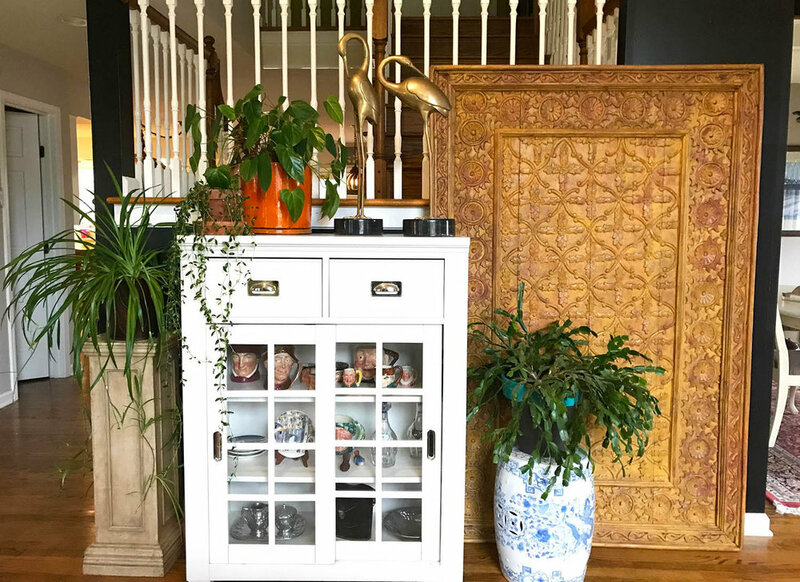 This is just a simple example but look how great the birds and the panel look in my front entry. I also can’t live without green plants and put them all throughout my home. They are an easy accent (if you can keep them alive) and make a room warm and cozy. Don’t be shy, don’t worry about what other people like or how other people decorate their home. Simply keep buying elements you like and you’ll be just fine! !